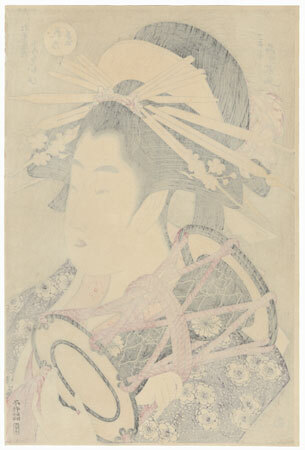 Comments - Lovely Eisui design of the young courtesan Yosooi of the Matsubaya playing a small hand drum. 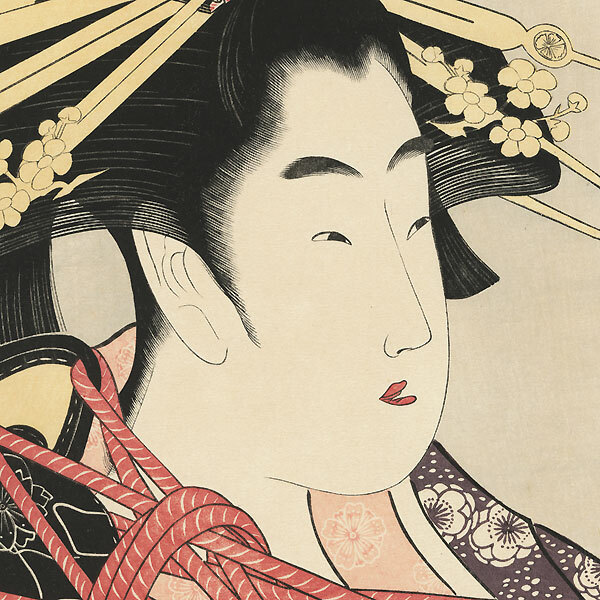 She holds the instrument with one hand as she taps out a rhythm with her slender fingers. 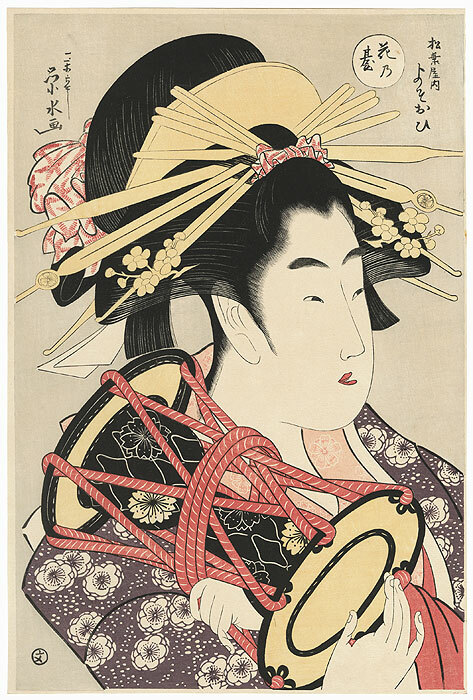 An attractive okubi-e or large head portrait, detailed with embossing in the blossoms on the kimono and the white stripes on the cords of the drum.